You were on the right track in thinking that your father lived in Harry Stutz’s home, but the residence to which you refer actually belonged to Stutz’s business partner, Henry F. Campbell. The property has an unusual history, which I will attempt to chronicle here. Henry Frear Campbell was born in Pennsylvania in 1882. He earned a degree in civil engineering from Lehigh University in 1904. 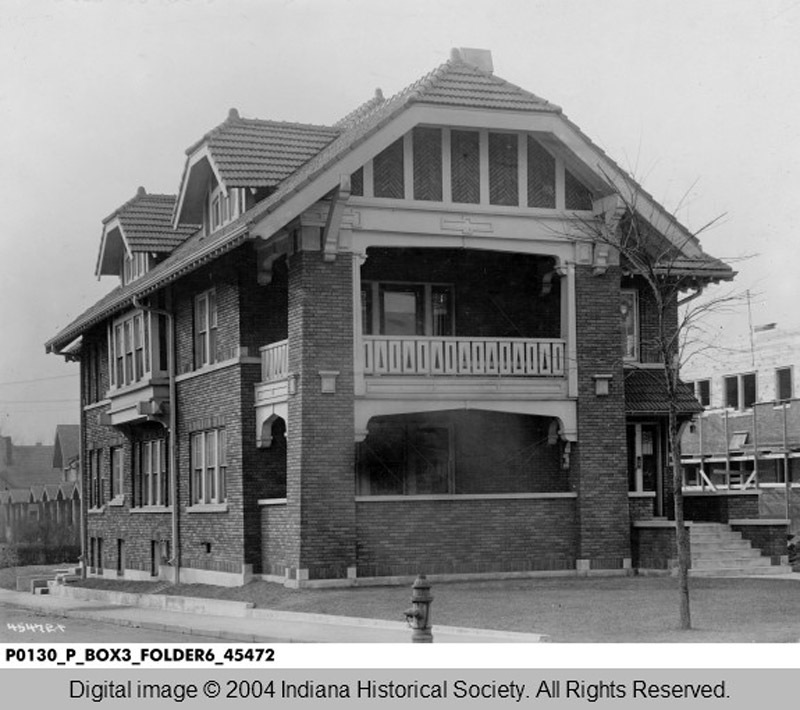 Henry, his wife Madeline (Downtain) Campbell, and their first child, also named Madeline, moved to Indianapolis in 1908, where he became an associate of the Overland Automobile Company and the Marion Motor Car Company. 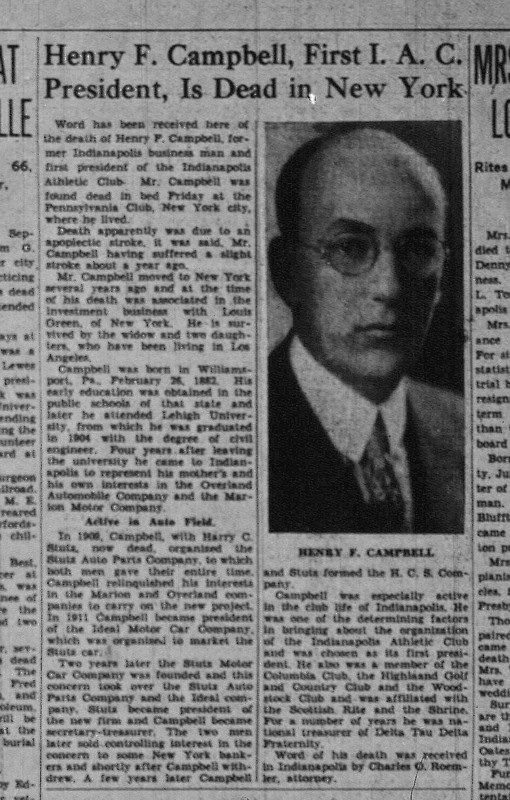 A year later, Campbell left Overland and Marion to join Harry Stutz in his automotive ventures. In 1911, they became partners in the Ideal Motor Company and entered a car in the first running of the Indianapolis 500. The car finished 11th in a field of 40, and they decided to rename their company Stutz Motor Company. Harry Stutz became president, and Henry Campbell became secretary and treasurer. A second daughter, Dorothy, joined the Campbell clan about this same time. The Stutz Motor Company did well in its first few years of operation, selling luxurious, high-performance vehicles like the Stutz Bearcat to wealthy families. The company’s early successes undoubtedly led to Henry Campbell’s decision to build a country estate on a tract of land just outside the city limits. His plans were the subject of a 1914 newspaper article, but he didn’t actually break ground until 1916. 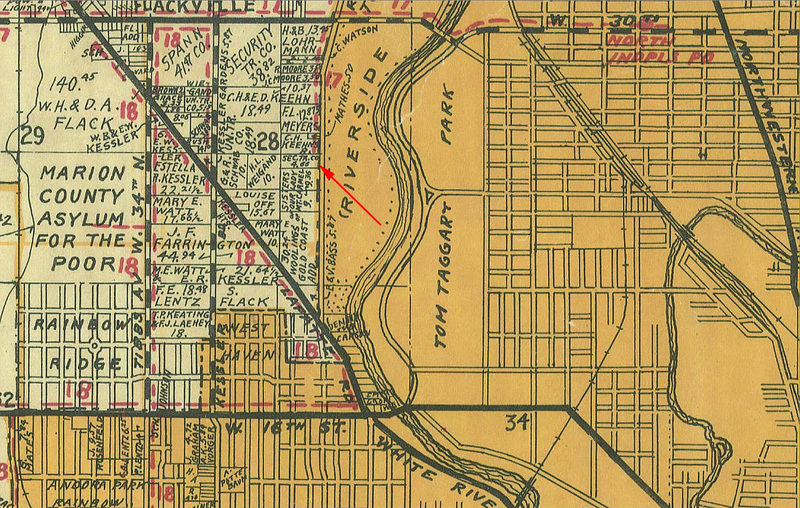 The 5.66 acres fronted on the Meyers Gravel Road, which was named for an early settler of the area. 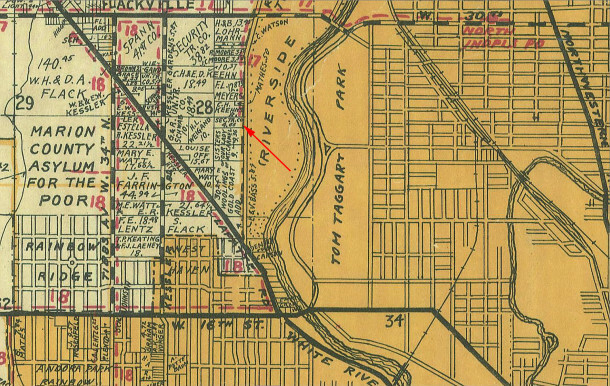 The road was later called West Riverside Parkway, as it ran alongside the west border of the city park of the same name. Ultimately, the thoroughfare was named Cold Spring Road, the name by which it is still known today. 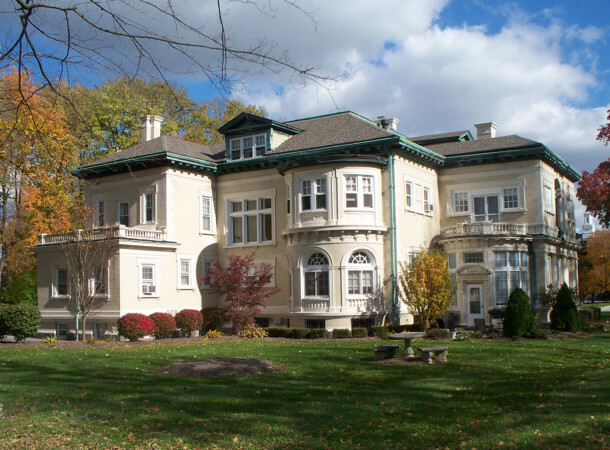 From Lafayette Road on the south to Maple Road (now West 38th Street) on the north, the street also garnered the nicknames of “Mansion Row” and “Millionaires Row,” due to several impressive residences on it built by local entrepreneurs. Most of the homes’ owners were involved in some aspect of the automobile industry. They included James A. Allison, Frank H. Wheeler, William B. Stokely, Carl G. Fisher, and Charles B. Sommers. 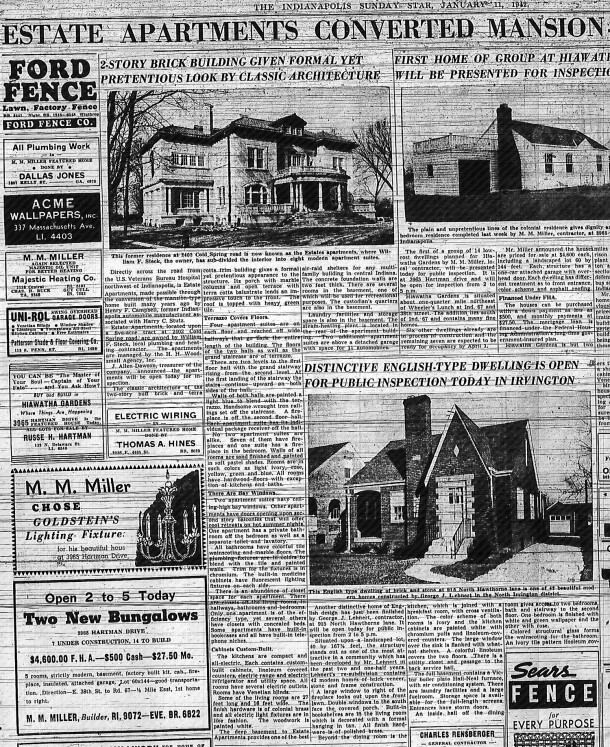 Allison’s and Wheeler’s Mansions were discussed in a Historic Indianapolis article back in 2011, which you can read here. Allison and Fisher were discussed in a Historic Indianapolis article last May, which you can read here. 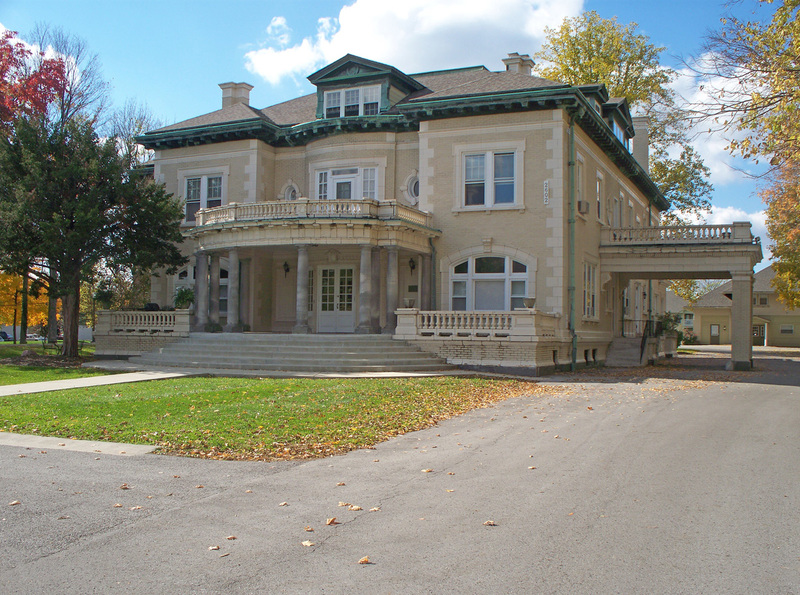 The Sommers Mansion was also discussed in a Historic Indianapolis article in May, which you can read here. Unforeseen events that occurred in subsequent years put a damper on Henry Campbell’s plans. The United States entered World War I on April 6, 1917. The country then mobilized to redirect the economy to training soldiers and providing them with necessary munitions, supplies, and food. The purchases of automobiles went down during “the war to end all wars.” When World War I ended in 1919, Stutz and Campbell needed money to resume automobile production, so they sold stock in the company. After a falling out with a new stockholder, Stutz and Campbell lost control of the Stutz Motor Company. They sold their interests in it, and the two men started up a new company. They could not use the Stutz name, so they employed Henry Stutz’s initials in the name of the new organization, H C S Motor Car Company. 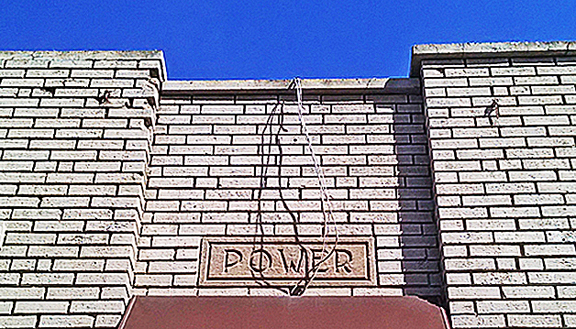 It opened in 1921, just a few blocks away from the first company. Unfortunately, H C S never really took off. It produced cars for only about four years and taxicabs for a couple more years beyond that. The stock market crash in 1929 and the Depression that followed were the death knell for the companies founded by Stutz and Campbell. As the income Campbell thought he’d make when he decided to build his dream home in 1914 did not ever materialize, he was never able to finish it. The mansion was designed by Diedrich A. Bohlen of the architectural firm of D. A. Bohlen & Son in the Italian Renaissance Revival style. The compound’s focal point was the two-and-a-half story, cream-colored brick residence, but there were also several outbuildings on the grounds. One of them that was completed early on was a two-story, frame, Craftsman-style home, erected southwest of the mansion. It was intended to be the gardener’s cottage, had the Campbells ever occupied the home. 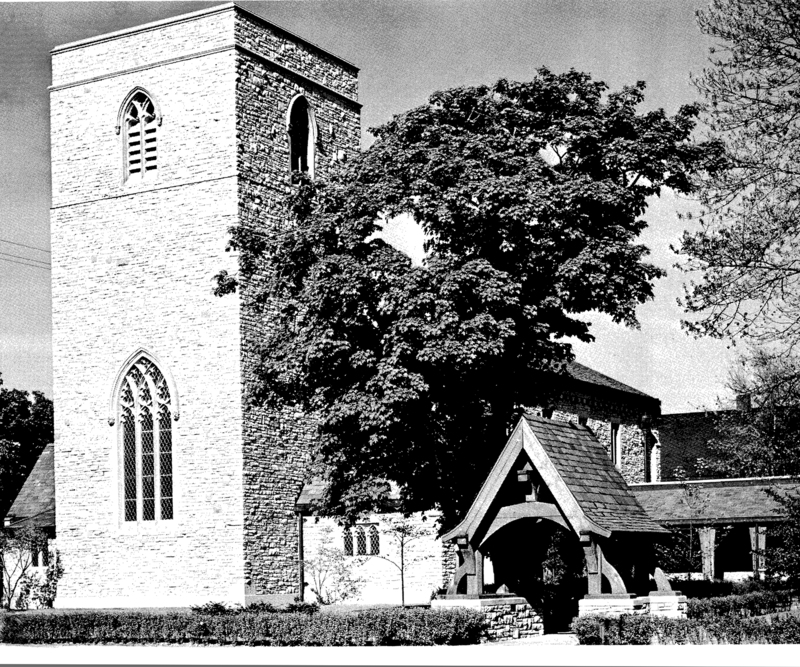 Instead, at different times over the years, it housed the foreman of the mansion’s construction crew, a couple who served as the property’s caretakers, and the family of Mrs. Campbell’s brother, Lamar Q. Downtain, Sr.
Other buildings on the property included a six-car garage with an apartment over it. Campbell had intended that the apartment over the bays would be the living quarters for his chauffeur or butler. Today, three of the garage bays have been finished into office space. Another outbuilding planned for the property was a barn or stable. Campbell apparently envisioned having some animals on the property, probably horses. That building now contains loft-style apartment units. In the late 1920s, the Campbell family moved to southern California, hoping to find new business opportunities in the Golden State. Meanwhile the Campbell Mansion sat vacant and unfinished. 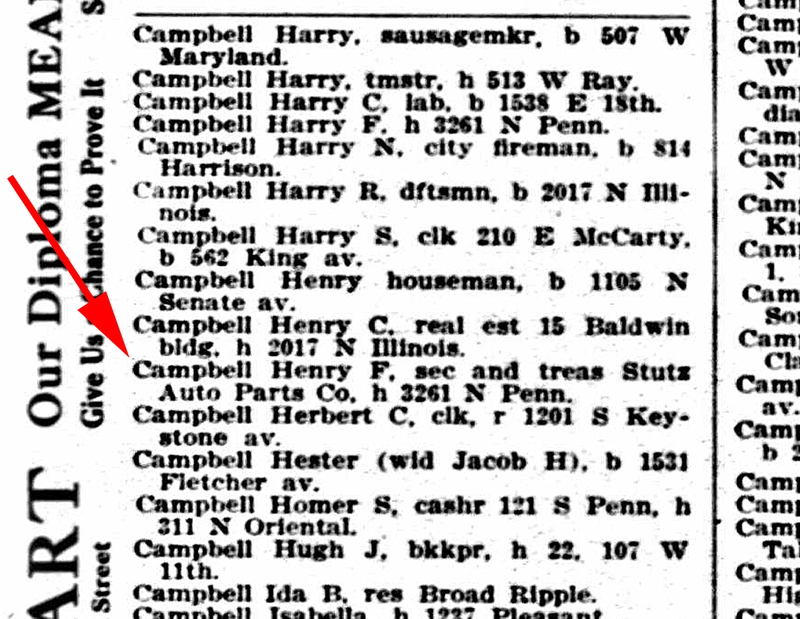 In 1936, Henry F. Campbell died at the age of 54. In 1939, a newspaper article announced plans by the “Colored Lodge” [sic] of the Indianapolis Elks Club to purchase the property for the purpose of opening an industrial training school for young African-Americans. After this news appeared in the paper, those plans apparently fell through, and the house sat vacant for another two years. 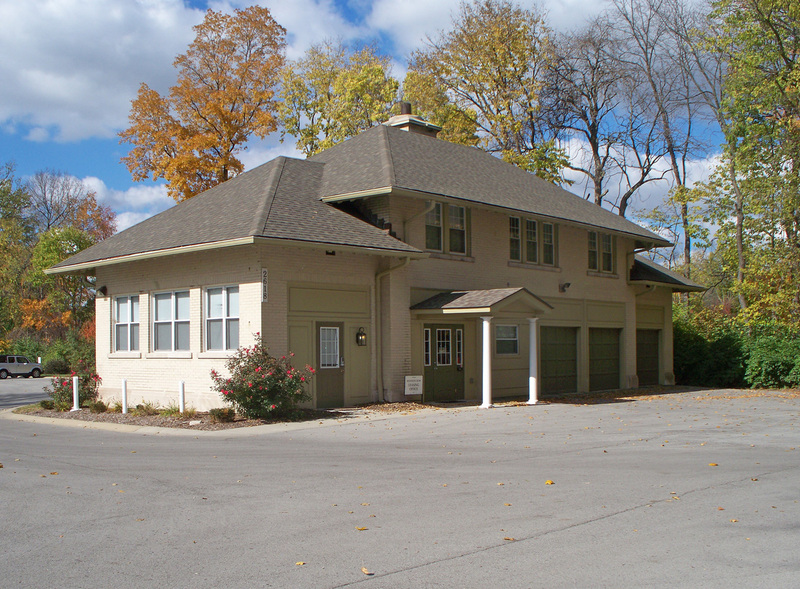 In 1941, northside plumbing and heating contractor, William F. Steck, Sr., (1895-1979) and his wife Katherine (1899-1987), purchased the property at 2550 Cold Spring Road. After having sat vacant for a quarter of a century, the Campbell Mansion was finally completed. However, it was modified from its original plans to be a single-family residence. The Stecks turned the main house into ten apartments. They turned the gardener’s cottage into two units, one downstairs and one upstairs. They converted the stable into loft-style apartments. The Stecks named the complex the Estate Apartments. 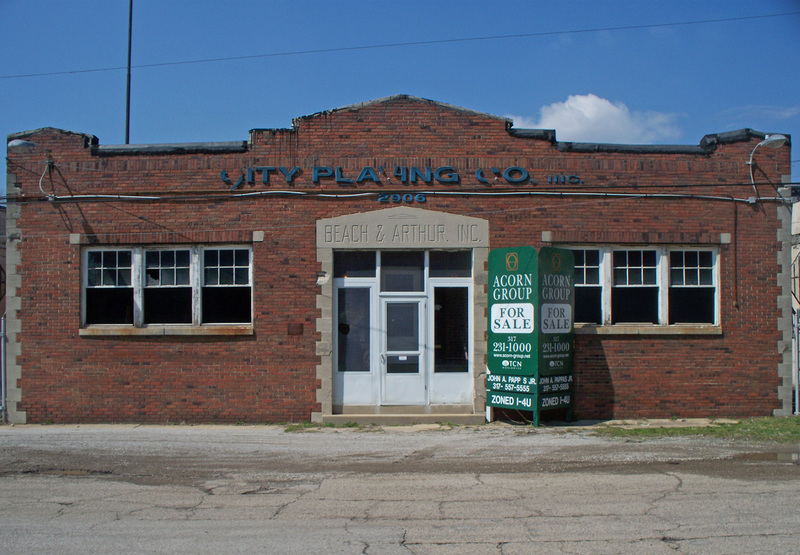 They owned the property for about four decades, after which time it was purchased by Kenneth L. Hite. 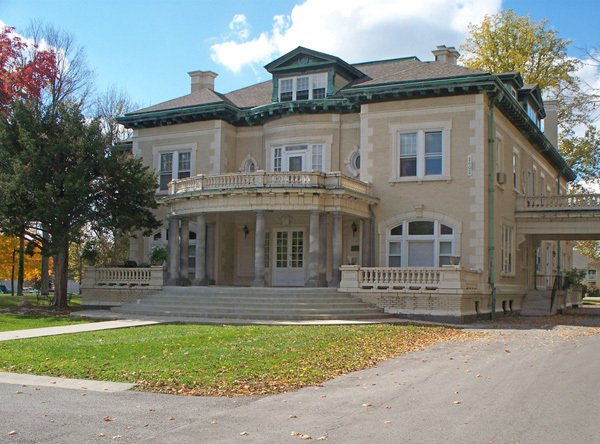 In 1994, the Henry F. Campbell Mansion was purchased by Thomas E. and Teresa Craig. 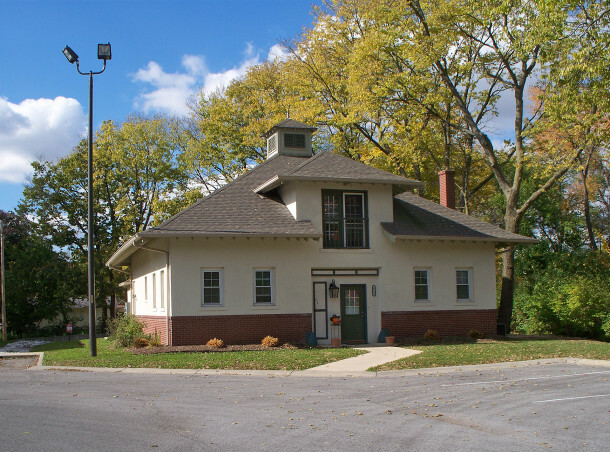 During their ownership, an application was submitted to the National Park Service for a listing on the National Register of Historic Places . The nomination was approved on April 14, 1997. The subsequent title holder in 1998 was Estate Apartments LLC, and the current owner as of 2003 is Coldspring Development LLC. In recent years, 24 new apartment units were built towards the rear of the property. The complex now has a total of 39 rental units and goes by the name Mansion Row Estate Apartments . Most of the living spaces are occupied by college students, young professionals, or retirees desiring to live in a peaceful, country-like setting that’s also near to downtown. The nuns in the Carmelite Monastery that was next door for 75 years joined with another order in Oldenburg, Indiana, in 2008, and that property is now the home of the Bishop Simon Bruté Seminary. 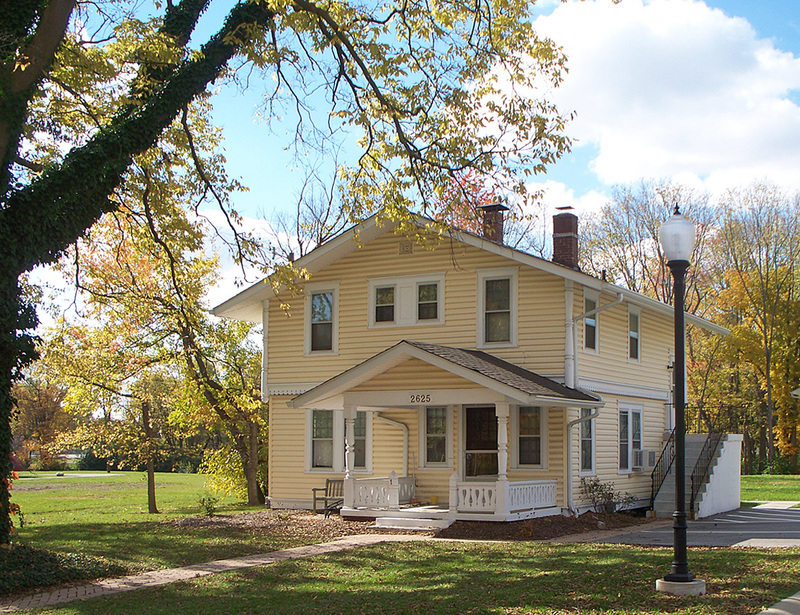 In recent years, Larue D. Carter Memorial Hospital relocated from 1315 W. 10th Street to a portion of the Veterans Administration’s grounds, directly across the street from the Campbell Mansion. The home in which the Henry F. Campbell family lived during their years in Indianapolis was located at 3261 North Pennsylvania Street, in what is now known as the Historic Meridian Park Neighborhood. 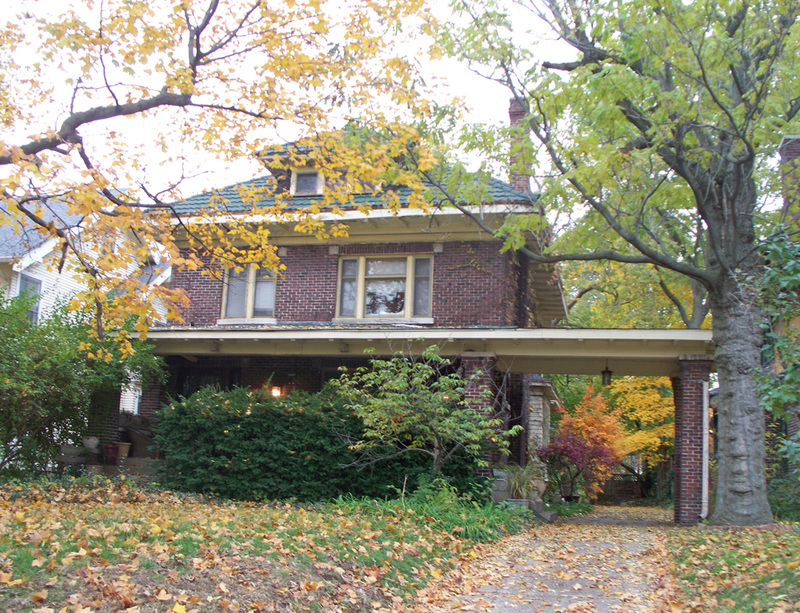 It’s also within the boundaries of the larger Mapleton-Fall Creek Neighborhood. By the way, Harry Stutz’s home was at 3172 North Meridian Street, which is on the southwest corner of 32nd and Meridian Streets. It’s still standing, too. It’s directly across Meridian Street from where Tudor Hall For Girls was formerly located, and it’s directly across 32nd Street from the Glossbrenner Mansion. It’s difficult to photograph, due to the trees and bushes around it. A Google map view of the former Stutz residence can be viewed here. Great to know the history of this great house. A colleague of mine rented on the second floor of the mansion many years ago, and I got to visit once. Her apartment was a great space. Sharon, wonderful article!!! Lamar Q. Downtain Sr., my grandfather, was Madaline Campbell’s brother. His five children lived the majority of their childhood years in the caretaker’s home, and the family maintained a large garden, cows and chickens on the property, to provide some of their food during the depression years. In addition, they made sure no damage occurred to the still uncompleted Campbell Mansion. Thanks for a great research job!!!! Your writing is superb. This is wonderful information, Sharon!!! Beautiful photos as well. I remembered the house and the property as being quite lovely, and it looks like they still are. Thanks so much for doing this research!!! Hi Sharon, I had a job cleaning apts for professionals in that mansion around 1984-85 or so, when Ken Hite owned it. It was a beautiful place! Ken Hite did not purchase the complex from the Stecks. Randy Warner, Harold Qualkinbush and one other gentleman bought the property from the Stecks and Ken Hite bought it from them. I can’t remember exact dates but I’m sure it’s in public records. I lived there and it was to say the least an interesting place.